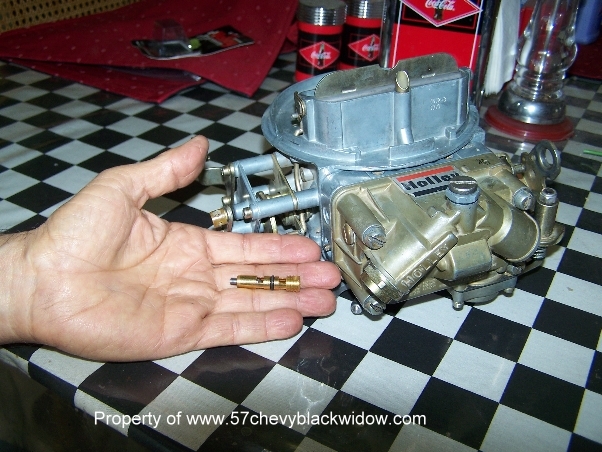 "Old Guy Scott" uses two Holly 500 CFM circle track carbs. 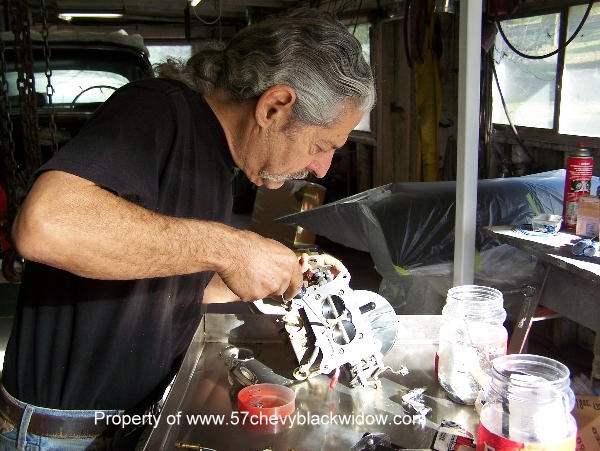 Overhauling them first Photo #516 he will use the large steel needle and seat photo #517. 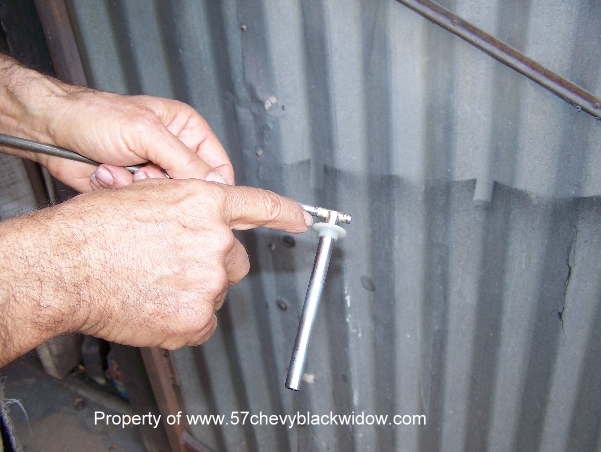 He says the neoprene tip needle won't hold up if you accidentally use fuel with alcohol added. 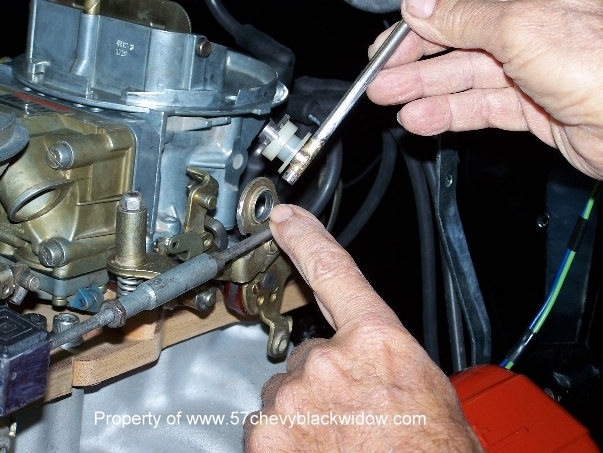 In Photos #518 and #519 you see "Old Guy Scott" running and adjusting each carb using the circle track adapter shown. 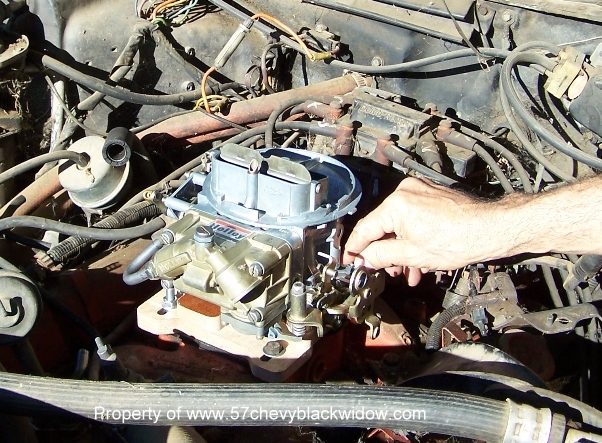 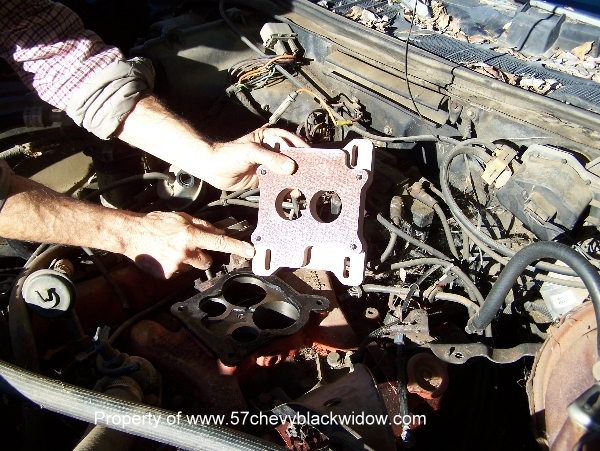 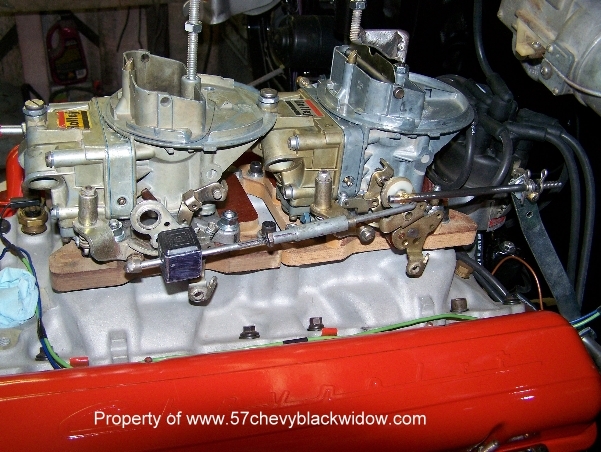 This is all done on a test mule engine before installing on the "Black Widow". 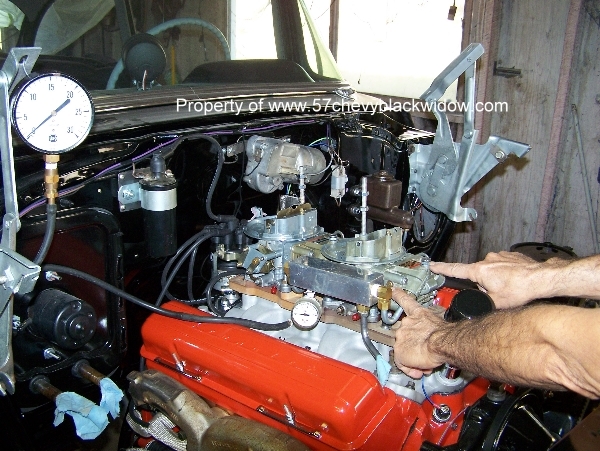 The important float level adjustments, photo #520 were made on the test mule engine. 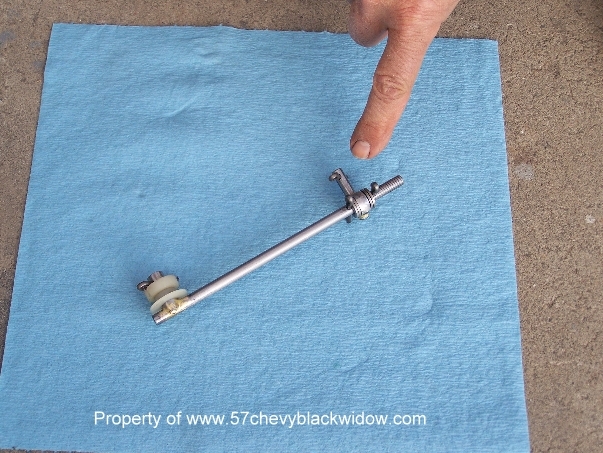 The throttle linkage is handmade photos #521 thru #524, this is vintage 1950's.